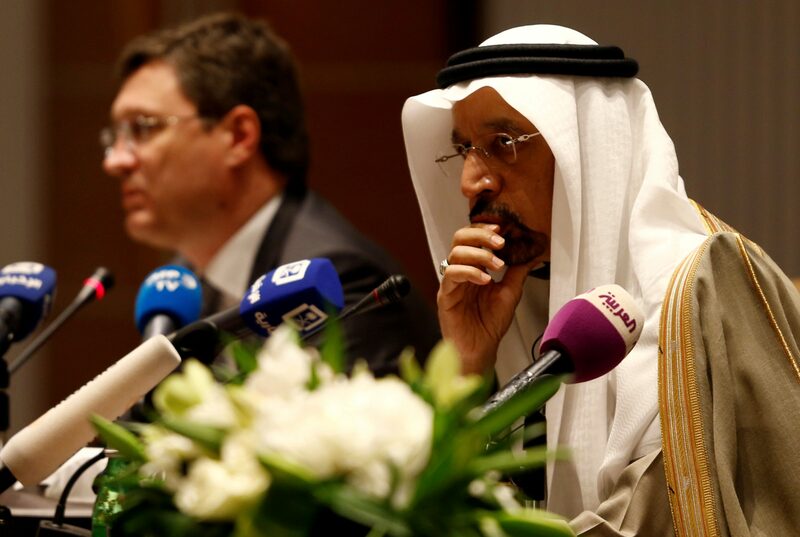 Saudi Arabia and Russia may lift oil output by 1 million barrels per day. Though that could knock prices, production of the black stuff will be more in line with the cartel’s previously agreed curbs. It’s a more far-sighted plan than allowing the value of crude to keep rising. Saudi Arabia and Russia will discuss raising OPEC and non-OPEC oil output by around 1 million barrels per day (bpd), easing 17 months of strict supply curbs, sources familiar with the matter told Reuters on May 25. An increase of about 1 million bpd would bring compliance with global supply curbs down to 100 percent from around 152 percent, the sources said. The initial talks are being led by the energy ministers of Saudi Arabia and Russia in St. Petersburg along with their counterpart from the United Arab Emirates, which holds the OPEC presidency this year, the sources said. OPEC and non-OPEC ministers meet next in Vienna on June 22 and 23, and the final decision will be taken there. As of 0900 GMT on May 25, Brent crude was trading at $78, down 1 percent.